Things are going well for us this weekend in Indy: Sales are good, we have lots of people asking about Dragon Age, we’re demoing A Song of Ice and Fire Roleplaying and Walk the Plank in the booth, and the ENnie Awards are tonight. In podcast news, Mecha & Manga clocks in at #1 on the RPG Countdown top ten list of hottest selling products on RPGNow this week. 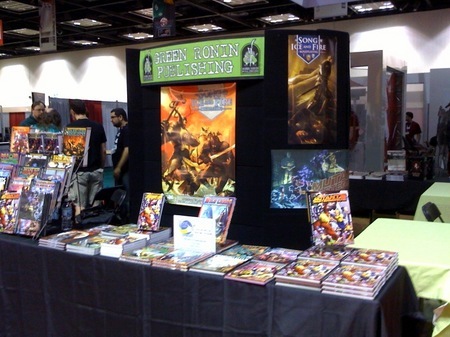 More news later, live from Gen Con.